The Go Getter is perfect for voice projection in an indoor or outdoor setting, and for playing music during school activities. 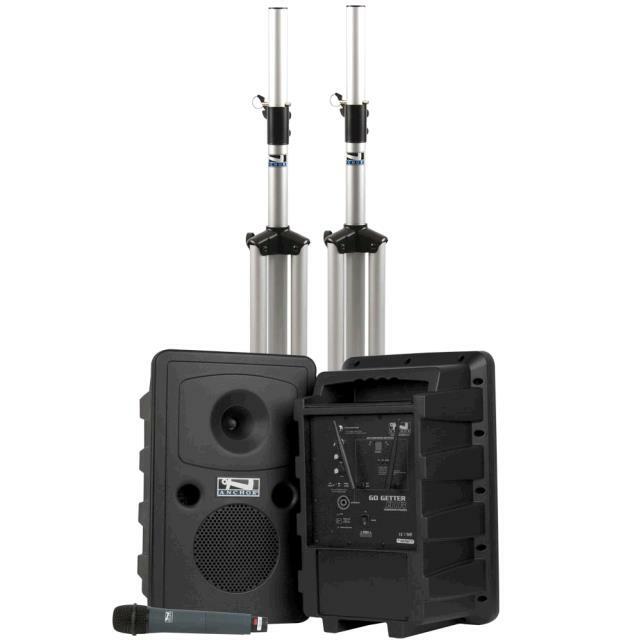 The unit delivers 109dB of intelligible speech, and is designed for users with little-to-no technical background. Featuring a quick set-up and easy-to-use controls, the new Go Getter Air is a truly versatile sound system with true AC/DC operation, improved battery life, and Air battery powered companion speaker. The system is ideal for schools, corporate training, and places of worship. Wireless companion speaker can be up to 150' away from powered speaker. 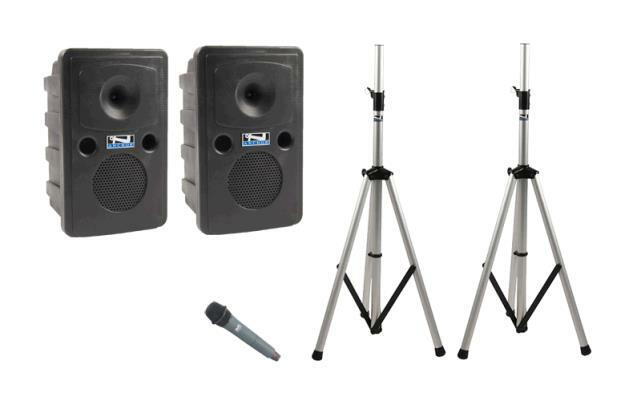 At Hejny Rental, we offer a great selection of projectors, pa systems, and sound systems - for any questions on our audio visual rentals in the Twin Cities, please call us today!